Datafiniti has recently released the availability of the first of its kind solution that could have significant impacts for the real estate market. Datafiniti Property Data utilizes proprietary technology to provide the most comprehensive and up-to-date web data, including rental inventory, rental prices, market trends, and property investment values. This breadth of information makes this database groundbreaking. At the time that Datafiniti Property Data launched, the company announced it would have more than 1 million listings. By the end of this year, it is expected to cover the entire market with approximately 10 million online listings. One element that makes this release unique is the fact that Datafiniti Property Data will be the first to provide completely up-to-date data listings for all online properties, regardless of whether those properties are for sale or rental properties. As a result, government agencies and companies will be better able to keep track of what is taking place in their respective regions. 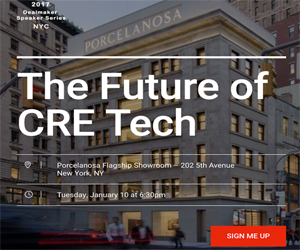 Real estate professionals will recognize tremendous benefits from the release of this database, particularly considering the sharing nature of rental markets, which also tend to be continually in a state of change and are heavily reliant on the latest trends. In order to ensure they have the latest competitive advantage, companies must make use of the latest web data. Datafiniti Property Data is currently the only solution that offers real estate professionals immediate visibility for the entire online property market. Initially, Datafiniti will focus on the rental market, including the vacation rental market, because the tourism and travel industries tend to rely heavily on the latest trends and information. Even the slightest change within this market could have tremendous repercussions and significantly impact the way in which a business owner chooses to proceed. Now, with the availability of such up-to-date information provided by Datafiniti, professionals involved in both the tourism and travel industries will be able to make far better informed business decisions and even understand trends as they are emerging rather than being blindsided later. Ultimately, this could help business owners save both time and money. With that said, Datafiniti Property Data could easily have important implications in other sectors of the real estate industry, which could certainly benefit from having instant access to the most up-to-date web data. As a result, real estate professionals will be able to take advantage of vital business functions, including sales, marketing, and customer targeting. This could prove to be incredibly important in the process of attracting new customers and making strategic sales decisions. As new technology becomes more commonplace in the real estate industry, the industry is likely to become increasingly competitive. With the availability of the most up-to-date data, such as with Datafiniti, real estate professionals will be able to operate much more efficiently while taking advantage of the greatest competitive advantage possible. Newer PostIs Google Trying to Gain a Stronghold in the Real Estate Industry?